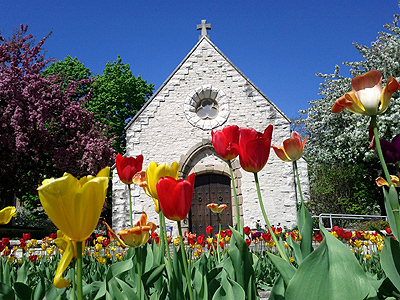 The Joan of Arc Chapel located on the campus of Marquette University is both beautiful and historic. Originally built in the fifteenth century in France near the town of Lyon the chapel was relocated to the United States in 1927 where it was reconstructed on Long Island in New York. 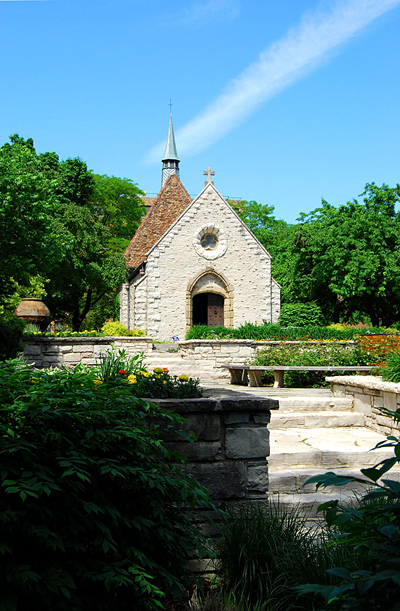 The chapel was again disassembled and moved to its current location at Marquette University in 1965 and was dedicated as the St. Joan of Arc Chapel on May 26, 1966. 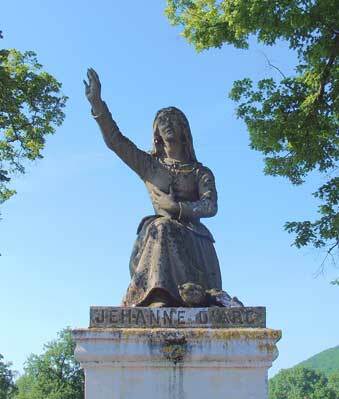 Added to the chapel at some point in its history is a stepping stone that St. Joan of Arc was reputed to have stood on while praying before a statue of the Virgin Mary. A further legend involving this stone is that it maintains a cooler temperature than the stones that surround it.